Jason Voorhees makes his mark in the Friday The 13th collection! For the first time, all twelve Friday the 13th horror films will be packaged together (with seven of them making Blu-ray debuts) and issued as Friday The 13th: The Complete Collection. This strangely beloved slasher series is one of the longest-running and most successful horror franchises in film history, surpassing the domestic theatrical box-office grosses of such popular series as A Nightmare on Elm Street, Halloween and The Texas Chainsaw Massacre. 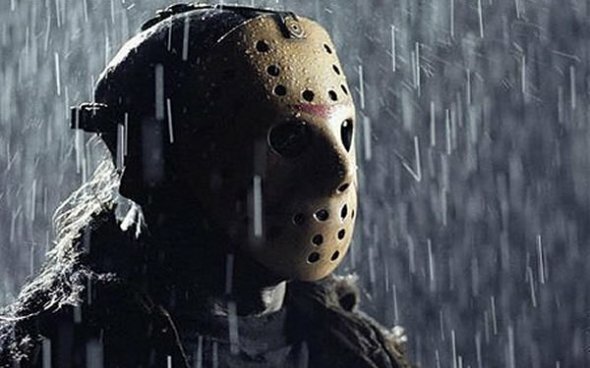 The dozen films in the collection turned psycho killer Jason Voorhees and his infamous hockey mask into a pop culture icon, topping the horror competition as the #1 home entertainment seller, with total sales of $119.7M to date. The 10-disc collection includes the 12 on nine Blu-ray discs, as well as a bonus DVD full of previously issued special features on the making of the famous franchise. The set is presented in a collectible tin case with a 40-page soft cover book that was excerpted from Crystal Lake Memories: The Complete History of Friday The 13th. Also included is an official Camp Crystal Lake embroidered Counselor Patch.